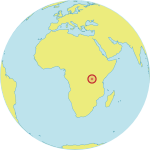 BUJUMBURA, Burundi – “During my youth, I had to abort four times,” said Cecile Nshimirimana*, a student in Burundi’s capital, Bujumbura. The procedures were illegal – in Burundi, abortion is permitted only to save a woman’s life. “I was afraid for my life when [on one occasion] it was dark and the doctor had only two candles to light [the room],” she recalled. She had not learned how to protect herself from an unintended pregnancy – something that is considered taboo in her conservative community. Girls who find themselves unmarried and pregnant are often compelled to drop out of school or marry early, even if underage. "For a girl who becomes pregnant and has ambitions to study and move forward in life, the only option left is an illegal abortion, with all the risks that entails," Ms. Nshimirimana said. Today, she is a member of the Kamenge Youth Centre, a UNFPA-sponsored centre where young people can learn about their sexual and reproductive health and receive referrals to adolescent-friendly health services. The majority of adolescents in Burundi do not have sufficient knowledge to make responsible choices about their sexuality. Ms. Nshimirimana faced this challenge as an adolescent. "I saw embarrassment on my mother’s face when I asked her questions regarding sexuality and relationships with boys," she said. In the absence of reliable information, rumours, myths and misconceptions run rampant. For instance, many people believe, incorrectly, that modern contraceptives cause infertility and cancer. Young people also face barriers accessing sexual and reproductive health services. They may face shame or stigma while seeking care. 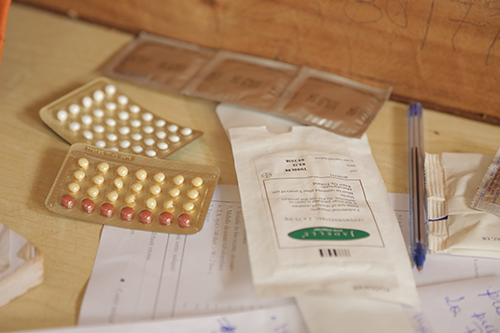 "It's still challenging today for a girl to go to the clinic and get her contraceptive pills," Ms. Nshimirimana said. All this is reflected in the country’s adolescent fertility rate. According to a 2016-2017 demographic survey, 8 per cent of girls aged 15 to 19 were pregnant or already had a child. As part of the National Programme for Reproductive Health, information about sexual and reproductive health is being disseminated through youth peer networks, many of them affiliated with school, community, religious and youth associations. Edouard Hatungimana, 56, is a facilitator with one such organization. He received training from UNFPA on how to speak to openly about health and sexuality. He remembers how challenging these conversations were when he was raising his own six children. “We did not understand the importance of discussing sexual and reproductive health, especially why our children should learn [about this], because we assumed it would drive them to perdition," he said. 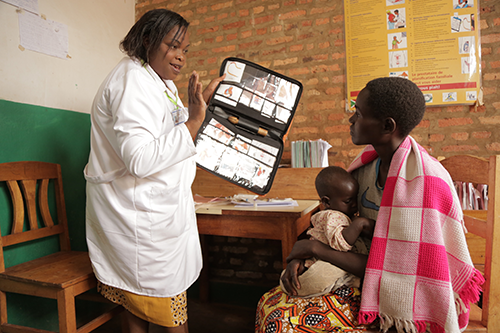 UNFPA is also supporting 18 youth-friendly health centres throughout Burundi, where staff have been trained to offer sensitive, confidential, nonjudgmental information and services. And UNFPA is working with the Government of Burundi to roll out a comprehensive sexuality education programme. The programme, launched three years ago, reaches youth both in schools and the broader community. Mr. Hatungimana says these efforts can save lives by empowering young people to protect themselves. “In regard to unwanted pregnancies and the risk of complications due to illegal abortions, which our children are facing, it is clear that we have to change our behaviour,” he said.